He collaborated with William Bascom in some of his works on Yoruba history, some of which is located in the Bascom collection of the University of Berkeley Library. 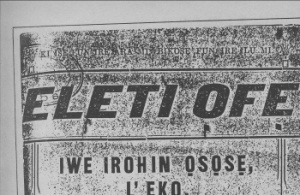 He published his first book, Itan Omo Orukan in 1931 and was co-founder of the Lagos Public School. This page was last edited on 27 November 2007, at 11:15.